The wet weather did not stop Tuan Anh Bui and Glenn Cleland from lining up at 3:30 a.m for the Berkshire Hathaway annual general meeting in Omaha, Neb. late last month. The meeting features one of the most successful investors in the world, Warren Buffett. 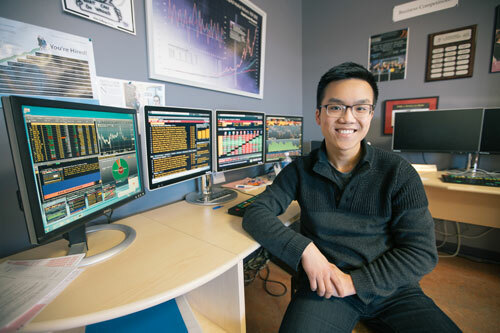 Fourth-year business administration student Mr. Bui and Mr. Cleland, the founding director of UNB’s Faculty of Business Administration’s Centre for Financial Studies, were among the thousands of investors lined-up early that Saturday morning. Since 2010, Mr. Cleland has been bringing his top students from the Student Investment Fund (SIF) program to the Berkshire Hathaway AGM, as an opportunity to educate them further. Mr. Bui was voted on by his peers for the Leadership Award. It was not just an award, but the opportunity for Mr. Bui to attend an event that many investors could only dream of being at. The Student Investment Fund program at UNB is the biggest student-run fund for undergraduates in Canada with $8 million in assets. 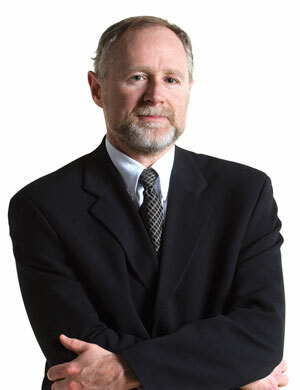 The students work with real clients, the New Brunswick Investment Management Corporation and UNB Endowment funds. “We weren’t that far back from the doors. There were about six people ahead of us,” said Mr. Bui. The centre holds 20,000 people and it’s on a first-come basis to get in. “It was pretty crazy when the doors finally opened,” said Mr. Bui. Mr. Cleland was in charge of holding the bags while Mr. Bui rushed to secure their seats. He secured second-row seats, right in front of the main stage where Warren Buffett, Berkshire Hathaway chairman and CEO, and his partner Charlie Munger would be speaking. The Student Investment Fund program has given Mr. Bui the opportunity to further his knowledge, with some of the world’s top investors surrounding him at the Berkshire Hathaway AGM. “If you’re a university student interested in investing and wants something that gives you the closest experience to real life, then this is the program for you,” he says. The program has gained recognition with students having 15 podium finishes, at varying university competitions. SIF students are the first ones in Canada to win first place in the North American CFA Research Competition and second place in the Global round. In 2015, they also claimed first place in the Van Berkom JMSB small cap case competition.